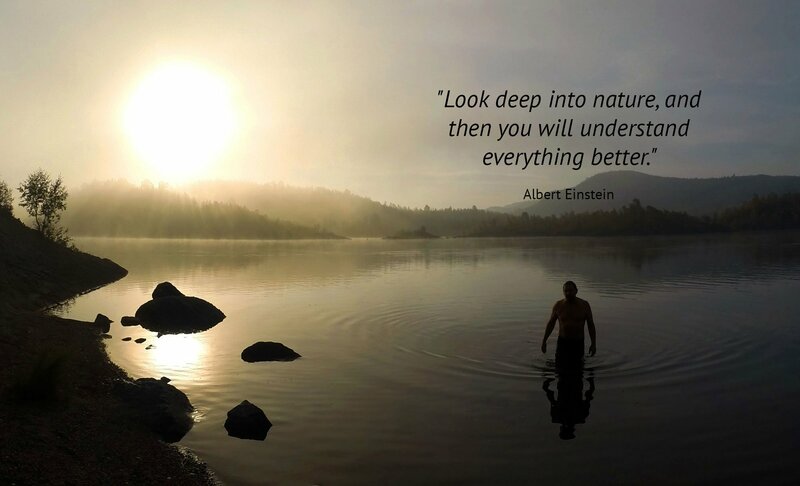 As those that have shared adventures with SUP Norway know. There is so much more to our expeditions than we can display on a web page. We love to surprise you with the unexpected and curious along the way. From local Norwegian delicacies to secret spots and spontaneous activities, we love challenging preconceptions and exceeding our guests expectations in providing outstanding life experiences. Our focus is on fun and being totally present with ourselves and nature. 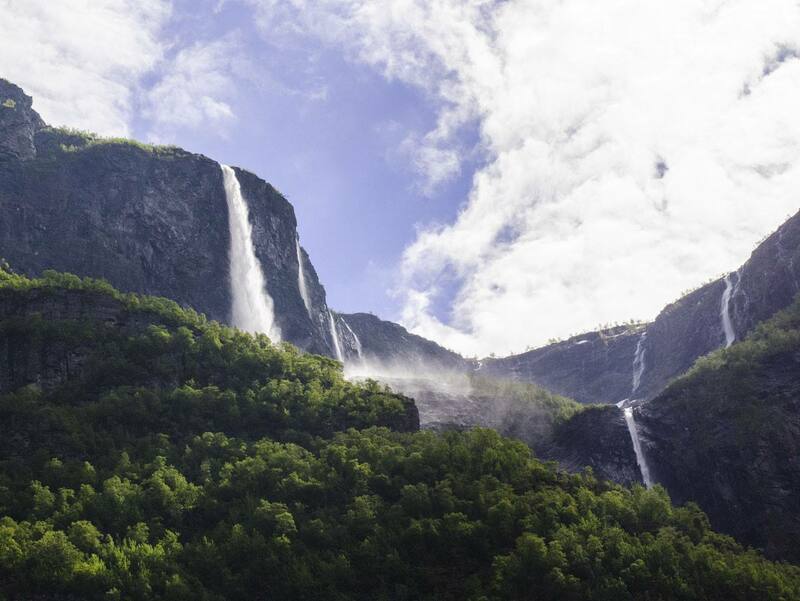 Together with the awe inspiring grandeur and sheer majesty of the nature we are blessed with in Western Norway are the reasons that many of our guests often report profound experiences. Sognefjord is the longest & deepest navigable fjord in the world and one of it’s arms – Nærøyfjord – is undoubtedly the most spectacular. 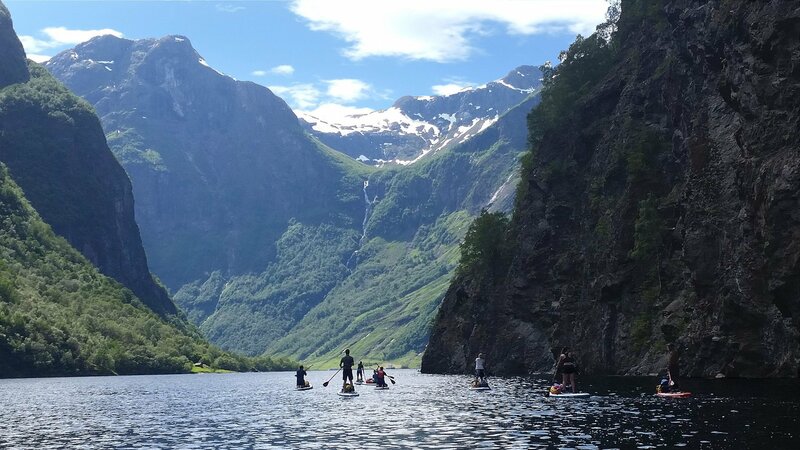 Imagine paddling beautiful Nærøyfjord, surrounded by shear mountains and snow-covered peaks that stand 1700 meters above sea level, with picturesque villages and literally hundreds of waterfalls along it’s length. Whether spotting porpoise or sea-eagles, paddling up to a thundering waterfall, laughing around the camp-fire or just chilling in the most beautiful nature there is, people who join us here are invariably blown-away by the experience. Your drinking supply is from the many granite filtered pure waterfalls. It is the sweetest water you have ever tasted, guaranteed! No filter required. 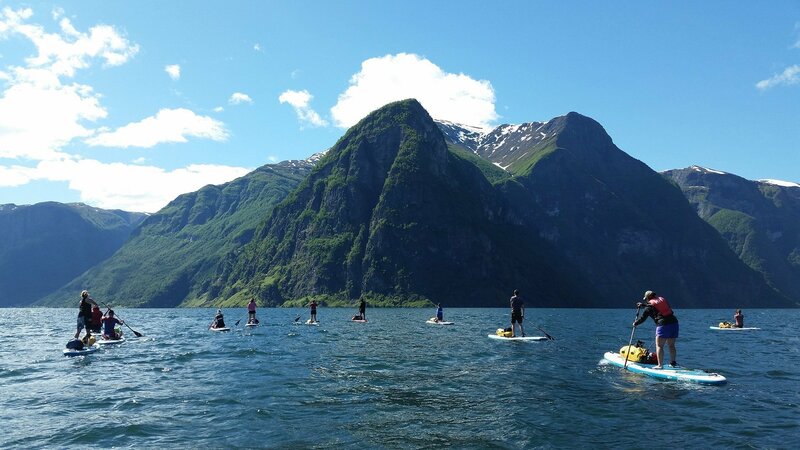 If you are after adventure and incredible nature, you can find it here with SUP Norway. This is definitely a bucket-list trip. At this time of year we can have up to 20 hours of light and our days are long and relaxed. Wake up with the waterfalls sounding like distant surf through your tent. Brave one for a cool wash, then breakfast with your friends to talk about the coming day’s paddle. When all are ready, we break camp and launch our boards. Gliding under towering cliffs, you teach yourself to paddle silently so as to take in your surroundings totally. We pause often as opportunities present themselves to film, photograph or just take in the magnificence. Varied camp-sites lend themselves to different activities and at the end of the day you will find yourself in good company laughing around the camp fire or taking some time alone for a moment of zen in some of the most wonderful surroundings mother nature has to offer. We are a very friendly, small company who love SUP and nature and want to share this amazing location and experience. Three healthy meals a day are provided. We use the best quality Norwegian produced tour food for breakfast and dinner. Lunches are freshly made by your guide each day and are usually traditional Norwegian fare. For the third day we have an evening meal at a restaurant right by the fjord and a cooked breakfast the next day. Fishing will be available and we will happily cook your fish over the camp fire if you get lucky. Carbon-fibre paddles and all safety gear. Video of your adventure and free use of our images from your expedition. Transportation between your home and Gudvangen. Secure international payments with Visa & Mastercard via DIBS. For alternative payment methods including Transferwise, Revolut & Paypal please email. The bus between Bergen & Gudvangen arrives/departs 3 to 5 times a day. Price is Nok 350,- on the bus but cheaper when you book online here. Note: The bus stop is called ‘Vang camping’ but our base camp is at ‘Gudvangen camping’, Just 100 Meters away. We will contact you the day before you arrive and invite you to advise us on Whatsapp, SMS or Facebook messenger of your E.T.A or any expected delays. The bus stop ‘Vang camping’ is closest to our base camp at ‘Gudvangen camping’. Gudvangen camping is just 100 meters away across the road. The other bus stop is in Gudvangen itself. If you get off here, it’s is a 500 meter walk back up the road to the base camp. You may turn up when you like on arrival day but it’s nice to get here in the afternoon and spend the day resting after your journey and getting acquainted with the group. There will be electricity, showers, refreshments and cool company. After you are settled in and the group is all here, we’ll have a briefing and issue you with all necessary gear and food for the expedition. There will be a little ceremony and then the BBQ starts at 18:00 if everyone is here, or 20:00 at the latest. We will start paddling the following morning. When do we finish on the last day? We will arrive back at Gudvangen at approximately 11-12:30, in good time to unpack and catch your bus to Bergen or other transport. The assistant guide will accompany those that wish to stay on the fjord longer and return from the expedition later in the day. If you wish to stay with us at Gudvangen camping for an extra night after the expedition, you are most welcome and may borrow your expedition tent or stay in our group ‘Lavvu’ (Teepee). The camping fee (Nok 160,-) is not included for this night. Do I need to bring any cash or a card? Yes. Alcohol & snacks are not included and if you have to leave the expedition in an emergency you may need to take a ferry or other public transport. There will be shops available at some points in the expedition. Cards are accepted everywhere, including ferries & buses. What experience and fitness is required? Guests will need to have some SUP experience in order to enjoy the week of paddling and to allow the group to travel at practical pace. The conditions are mostly calm and stable for the summer but we can occasionally run into some wind and a bit of chop, especially at the beginning and end of the season. We ask that when you arrive for your expedition, you are confident in your ability to paddle 10 Km, be able to effectively (Knee) paddle against a headwind and can swim 100 meters in open water. What equipment will I need to bring? A comprehensive gear list will be sent to you when you book with us. You will just need to bring personal clothing/gear. Due to it’s nature, SUP exploring requires minimalist, lightweight and efficient gear and this is the way we roll (paddle). We do have limited extra items of personal gear if needed. No. We don’t use or supply wetsuits. In reality, we paddle in board-shorts & t-shirts or long-sleeved tops depending on sun or cloud. If raining, we put on a shell top. The water temperature is cool/cold. If you do fall in (Happens rarely), you are dry again in 5 mins and every paddler will have a towel and warm top to hand if needed. Paddling in a wetsuit for over 2 hours will make you sweaty, smelly and actually colder than if you paddle dry. On most expeditions, we stop and have a swim to cool down at some point. The picture on the right was taken in May. Excess luggage. Where do I leave it? Excess luggage can be left in the locked expedition vehicle at the launch point (at own risk). It is a low population/low crime area and most people do this. You may also leave any luggage or valuables in a safe room at Gudvangen camping if you prefer. How long/far will we paddle every day? Most days are between 4-6 hours paddling 9-15 Km (More if you want to and Max 8 hours/20 Km). The focus of the trip is to experience this magnificent area at a relaxed and enjoyable pace whilst being present, we do not focus on endurance/distance paddling. For the arrival night we will be staying at Gudvangen camping nestled between 1500 meter towering cliffs with a view of the majestic Kjelfoss. You may stay in your expedition tent or in our shared 8-10 man ‘lavvu’ (traditional Norwegian teepee). It is also possible to rent a small hytte (hut) yourself (if available). Booking of hytter can be done here: http://www.visitgudvangen.com/hytter_rom.htm. For the other nights we will be wild camping or at established camp-sites. Toilet facilities vary from flushing and hot showers to traditional compost and a waterfall wash for the hardy. These are the views that surround us on arrival day at ‘Gudvangen camping’. we shall BBQ, get to know each other and prepare for our adventure. What are the conditions like on the fjords? Most of the areas we paddle in are quite protected and beautiful. We try to avoid head-winds and wavy conditions where possible. If conditions deteriorate to a level outside the group’s comfort zone then we can wait it out, paddle down wind to another destination or also re-location via road or boat may also be possible. We have not yet experienced a day when we could not paddle. If this ever happens, there is always lots to do at all the stops in this amazing environment. 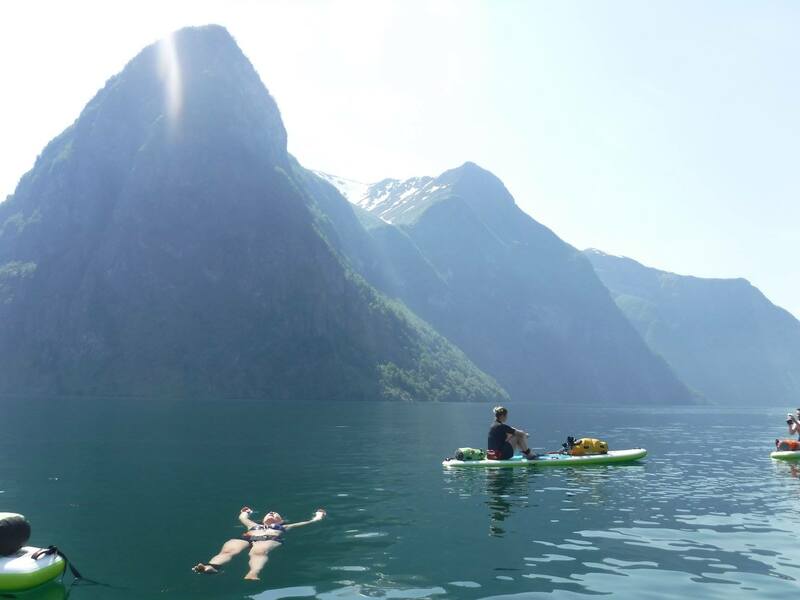 5 Day Fjord expedition: 20% of the tour’s cost is required at the time of booking to secure your place on the expedition with the balance to be paid no less than 60 days prior to trip departure. 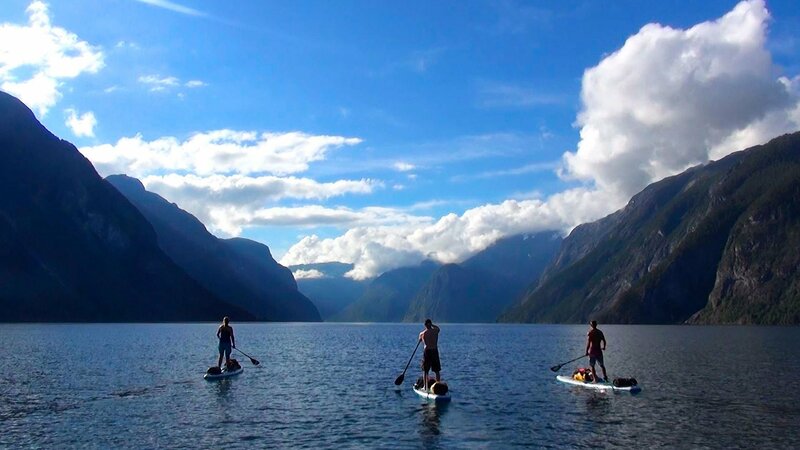 2 Day Fjord Tour: The full cost is required at the time of booking to secure your place on the tour. “Life is about experiences, not things. 2 Places available Expedition members complete payment HERE. *** SOLD OUT *** Reserve list. Expedition members complete payment HERE. 1 place available Expedition members complete payment HERE. ***SOLD OUT*** Reserve list. Expedition members complete payment HERE. 1 Place available. Expedition members complete payment HERE. The expedition starts (and ends) in Gudvangen approximately 150 kilometres NE of Bergen. If travelling from the UK. Fly to Bergen airport (BGO), take the shuttle to the Bus station (Every 10 mins) and a scenic 2½hr coach ride will drop you off close to our base-camp at ‘Gudvangen camping’ or our launch point (See map). Travel Insurance is compulsory on all SUP Norway expeditions and is a condition of booking with SUP Norway. When selecting a travel insurance policy we require that at a minimum you are covered for medical expenses, including emergency repatriation. World nomad’s policy is pretty cheap and covers everything you need for your expedition with us. Please note, we have no affiliation with Worldnomads, we have just heard good things from previous guests. We strongly recommend that you check that the policy covers personal liability, cancellation, curtailment and loss of luggage and personal effects. Your insurance policy will need to be sighted by your expedition guide on day one of your trip if you have not sent us the details beforehand. Failure to do so will mean exclusion from the trip. Please ensure you have your policy number and emergency telephone number for your insurance company with you. If this is unavailable please ensure you have the necessary information required by your insurance company in case of an emergency. The Nærøyfjord lies approximately 150 kilometres north of Bergen. Take the Bergen Railway from Bergen to Myrdal. Then change to the world famous Flåm Railway (an adventure in itself) that will take you down to Flåm [Flåm Railway – Timetable 2018]. Total travel time, a little under three hours. From Flåm you can take a shuttle bus (Timetable) to Gudvangen. 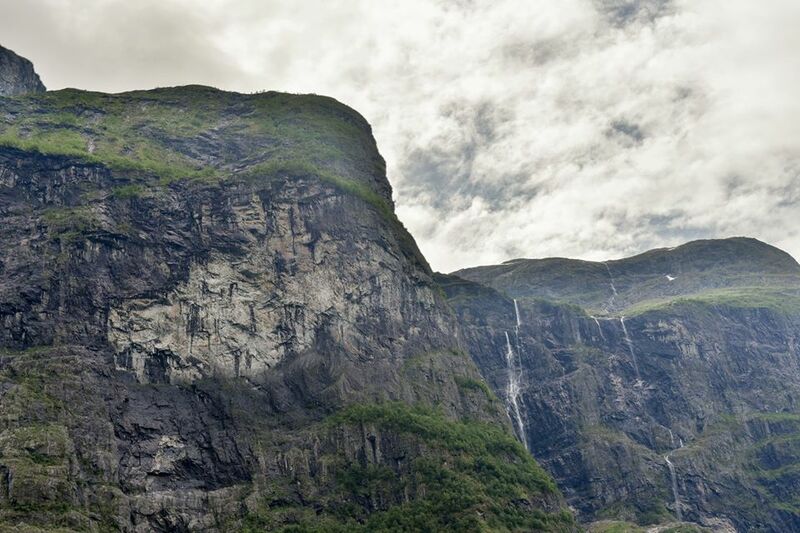 The drive from Bergen to the Nærøyfjord takes approximately two hours and twenty minutes. Follow E16 and continue to Voss and Stalheim. From Stalheim you can drive the steep and spectacular hairpin bends of Stalheimskleiva. 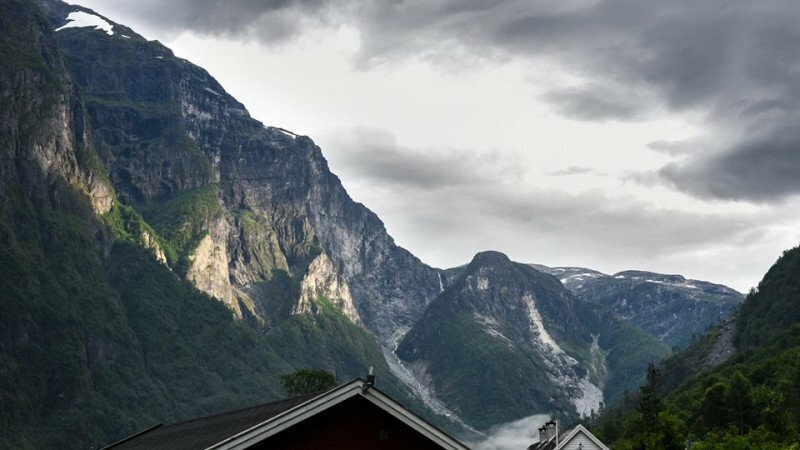 The road down from Stalheim Hotel has 13 steep bends before you get down to Gudvangen and the Nærøyfjord. From 1 May to 30 September express boats run daily from Bergen all the way to Flåm. These boats connect with other ferries and transfer passengers to the middle of the fjord. For timetables and booking, please contact Fjord1. From Flåm you can take a shuttle bus (Timetable) to Gudvangen. The Nærøyfjord lies approximately 350 kilometres northwest of Oslo. Take the Bergen Railway from Oslo to Myrdal. Then change to the world famous Flåm Railway (an adventure in itself) that will take you down to Flåm. Total travel time six hours. 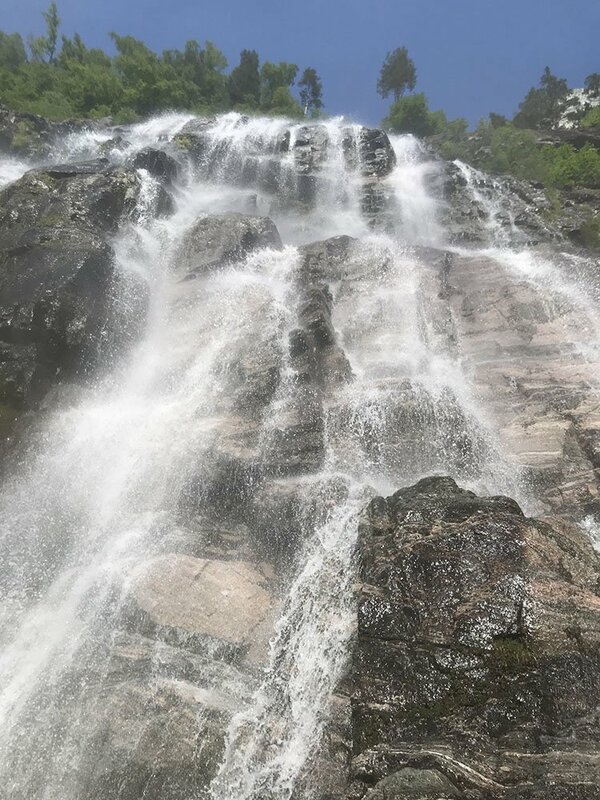 For timetables and booking, please contact the Norwegian State Railways (NSB) and the Flåm Railway [Flåm Railway – Timetable 2018]. From Flåm you can take a shuttle bus (Timetable) to Gudvangen. 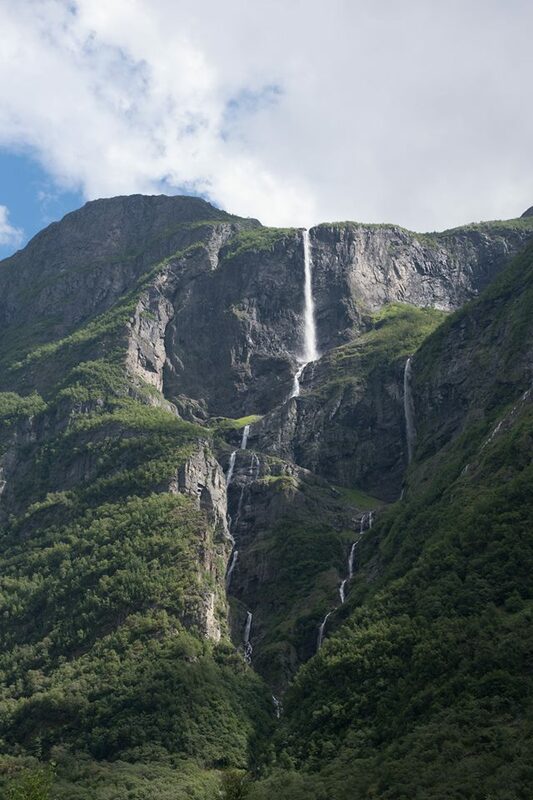 The drive from Oslo to the Nærøyfjord takes approximately five and a half hours. Follow the E18 from Oslo to Sandvika. From Sandvika you follow the E16 to all the way to Gudvangen, passing through Hønefoss, Gol & Hemsedal. Daily departures to Gudvangen (approximately seven hours). For timetables and booking, please contact www.nor-way.no/en-US. We hold your information in the strictest confidence.